It's a week of KidPages! If you missed the first two days, you can check out Bradley's books here and Maxwell's books here. Today it's four-year-old Aaron's turn. Hmmmm, as I've been writing up these posts, it has become quite apparent to me that we are a family of boys. You can tell that "we" (not necessarily "me") gravitate toward books about monsters, dragons, animals, robots, snakes, alligators, trucks, trains, and bugs. My sincere apologies if you are looking at these books and your little girl and realizing the two of them won't mix. 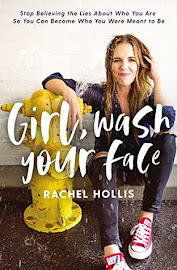 Feel free to recommend some titles of your own...we are not opposed to "girl" books by any means; they just don't show up on our radar as often. When it comes to Aaron, I know that if a book has a dragon, robot, or spider in it, we've pretty much hit the jackpot. Honestly, the story can be horribly written with terrible illustrations, and he will still be happy. But these books? Thankfully they're not horrible or terrible (but they do include the necessary dragon, robot, or spider). 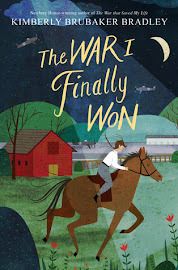 We checked out this book for the first time months ago, and it was such a hit that I've been meaning to write about it ever since. Before writing this post, I thought I'd better get it again to see if it was still a favorite. I needn't have worried. When Aaron saw it in the library bag, he acted like it was his birthday. He was so happy to see it again, and it made me realize (again) that even though it's fun to check out new books, it's great to go back to old favorites, too. The story is about a boy named Harvey. When his mom leaves for the day, she warns him not to draw anything while she's gone because it's Doodleday. She doesn't explain what this means (major oversight), so Harvey decides to draw a small and harmless fly just to see what happens. He has scarcely lifted his pencil from the paper when he hears a loud buzzing in the kitchen, and there is his fly, 100 times bigger and raiding the refrigerator! Harvey does the only thing he can think of--draws a spider to eat the fly (I guess he never heard about the Old Lady and how that all worked out for her). So now he has a giant spider roaming the house and tying up his dad for lunch. Things quickly get out of hand until Harvey does what he should have done right from the start: he calls his mom. And she knows exactly what to do. Did you catch that there's a giant spider in this book? Oh yeah, and a giant squid, too. Nothing like a giant squid to liven up a story. So of course Aaron likes this book. But beyond those things, I think he's absolutely fascinated by the idea of drawing something and having it come to life. Aaron hasn't always loved drawing, but in the last year, that has changed, and now I can't seem to keep us stocked with enough paper to keep the kid happy. 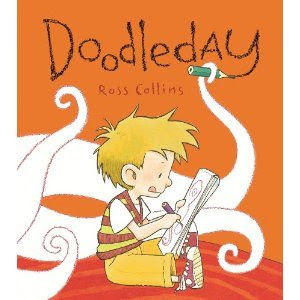 So yes, I think he secretly wishes for his own Doodleday. The illustrations are fun. All of Harvey's drawings keep their original appearance throughout the story, and the crayon lines are a great contrast to the cartoon-y appearance of everything else. (Aaron's favorite picture is the one where the giant squid crashes onto the street; the neighbors are all strung up to their light poles with spider silk, and general chaos is evident.) The whole story is just highly imaginative and creative. Personally, my favorite part of the story is that it's the mom who rescues the whole neighborhood. Go moms! This is a story about a boy and a robot. They meet each other one day and become instant friends. They play and play until Robot's switch accidentally gets turned off as he rolls down a hill. The boy doesn't know what has happened to his friend. He tries all the usual remedies (applesauce, stories, a warm blanket), but nothing seems to help. Later that night, Robot's switch gets turned back on, and he looks at the sleeping boy with wonder and panic. He tries to help the boy (he gives him oil, reads an instruction manual, brings him a new battery), but the boy stays asleep. Imagine how happy they both are when the boy wakes up, and both boy and robot realize they're each fine and ready to play again. 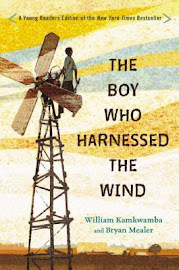 This book is a wonderful story of friendship. But more than that, it shows that sometimes we may not fully understand the culture or habits or personality of another individual, but that doesn't mean we can't still be friends. We have to learn and overcome certain barriers together, and any inconvenience is worth it because we get a new friend! The illustrations are a bit simplistic but just right for this story. Also, if you've never read a book with a robot main character, then you're really missing out; it is super fun to read in a monotone robot voice. Why is this one of Aaron's favorites? Well, how many four-year-olds do you know who wouldn't want a robot for a friend? That's what I thought. For the coveted third spot on Aaron's list, it was a toss up between When a Dragon Moves In and I Need My Monster. I was actually writing this post during afternoon naps, and I honestly didn't know which one Aaron liked more. So I put the post on hold and washed the dishes instead. When Aaron woke up, I asked him. You can see that the dragon won today, but tomorrow? He could easily switch allegiances and go with the monster. Dragons vs. monsters...one of the toughest decisions you'll make as a four-year-old boy. 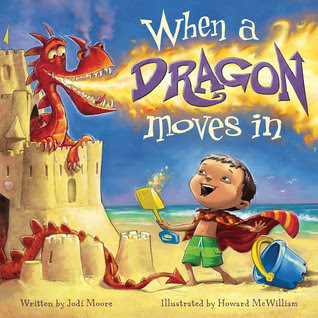 This imaginative story is all about what will happen at the beach if you build the perfect sandcastle and a dragon moves in. Your day will be filled with wonderful adventure: roasting marshmallows over the dragon's flame, using his stomach for a raft, and chasing off bullies. But owning a dragon isn't all fun and games, and you will soon discover that he has a big appetite and also a bit of a temper when he hears other people say things like, "There's no such things as a dragon." In the end, you decide it might be time to say good-bye to your dragon...until tomorrow, that is. The line between truth and fiction is wonderfully blurry in this book. The little boy gives some fairly convincing arguments that he does indeed have a dragon, but the illustrations provide little clues that, perhaps, the dragon is actually just a part of the boy's very active and glorious imagination. The illustrations only add to the imaginative quality of the story. They are funny and whimsical with plenty of detail and things to be discovered on each page. I think my favorite page is this one where some punk kids are coming to destroy the little boy's sandcastle only to be scared away by the menacing dragon...or the tong-wielding dad? See what I mean? There's that blurriness between what's real and not. Aaron would want me to point out that as far as dragons go, this is a pretty cool-looking one: fire-breathing with sharp teeth, a long tail, and wings. The only thing that might possibly make it better is if it were green instead of red--but only if you're Aaron. Stay tuned for KidPages tomorrow: it's going to be MY turn! P.S. I'm sharing this post with the Kid's Co-op. 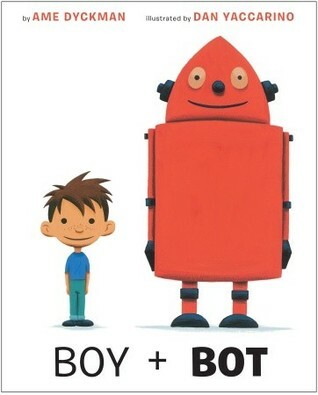 I love the "Boy + Bot" book! It looks so cute. I've never seen a lot of books about robots, but maybe it's a trend now?